This August I will have been on a gluten free diet for two years; from day one I refused to be restricted by my diet and was determined to enjoy every little bit of what I eat. I believe that it’s possible to enjoy food and to eat everything I used to eat before but that it often just takes a little bit of experimenting to get things right. I spend the majority of my spare time developing gluten free recipes and testing my bakes on my friends who always tell me that I should share my recipes, so that leads me to the blog! 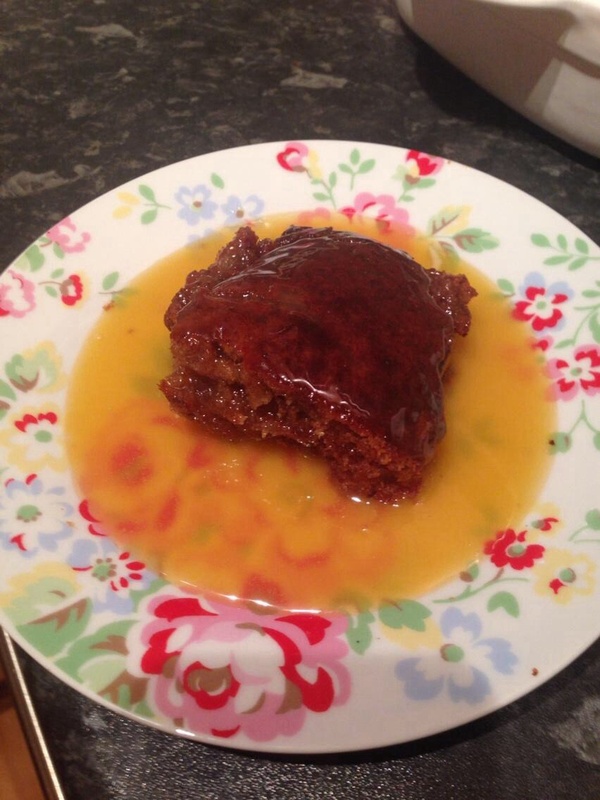 I thought long and hard about the first recipe I would share, it needed to be a recipe goes down well every time I make it – it had to be my Sticky Toffee Pudding recipe. Whenever I visit my boyfriend’s family they always ask me to make this, they aren’t restricted to a gluten free diet but they definitely think it tastes every bit as good as the original pudding! If you’re on a gluten free diet and you feel like you are missing out on real puddings, give this recipe a try, I promise you won’t be disappointed! 2. Grease 2 glass dishes with butter (I used 2 glass dishes because that’s what I had lying around but you could use just one big glass dish or a cake tin, you may need to adjust the cooking time to ensure the sponge is cooked through). 3. Soak the dates in the tea and set aside to cool. 4. Cream the butter and sugar until light and fluffy, making sure you’ve worked out any of the lumps in the brown sugar. Add the eggs and flour then mix until all the ingredients are fully combined. 6. When adding the dates it entirely up to you whether to blend them or leave them chunky – I like to blend the tea and dates into a paste but either way is absolutely fine. Add the dates and tea into the sponge batter and mix until fully combined, then spoon the mixture into the prepared dishes and smooth it out with a spatula. 7. 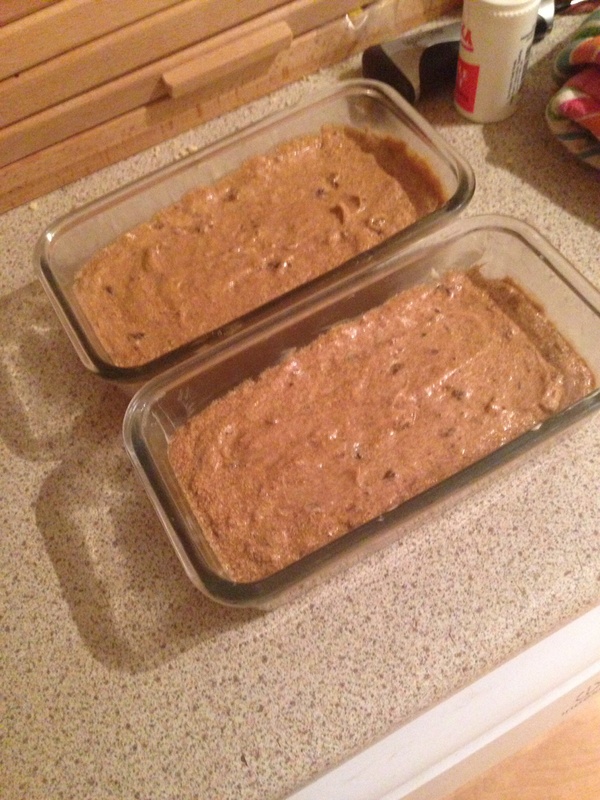 Bake in a preheated oven for approximately 25 – 30 minutes. To check the sponge is cooked through, test the middle with a skewer, if it comes out clean the sponge is cooked. 8. To make the sauce place the sugar, golden syrup, treacle and butter in a pan over a low heat. Once the butter has melted stir in the double cream. Today I had no treacle so I used maple syrup instead which made the sauce slightly lighter in colour (as you can see from the picture) but it still tastes just as good! 9. Drizzle the sauce over a slice of the pudding to serve! Made this one today, it’s all gone already! Recipe is another keeper, thank you!